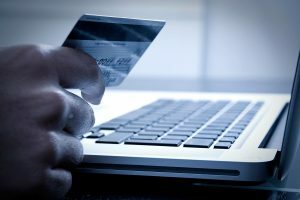 Consumers can expect to see sales tax charged on more online purchases after a recent Supreme Court decision. States will now be able to force more people to pay sales tax when they make purchases online. The decision is a big financial win for states. In the early days of the internet, online retailers were exempted from sales taxes in states in which they did not have a physical presence. In a couple of previous decisions, the U.S. Supreme Court held that mail-order retailers with no physical presence in a state shouldn’t have to collect sales taxes from customers in that state. This allowed many sellers that had a physical presence in only a single state or a few states to avoid charging sales taxes when shipping products to addresses outside those states. Retail trade groups praised the ruling, saying it levels the playing field for local and online businesses. The Small Business & Entrepreneurship Council advocacy group said it will “create havoc for small businesses and the marketplace.” Online-only retailers may face the biggest headaches complying with various state sales tax laws, though there are software options to help. Amazon.com already collects sales tax in every state that charges it, though third-party sellers who use the site don’t have to.